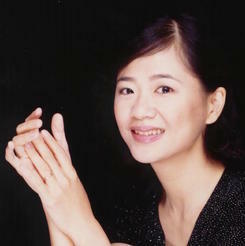 Ms. Yu-Chiou Tchen is an accomplished pianist, music educator, and cultural administrator. She graduated from the Conservatoire Nationale Superieur de Musique de Paris, earning the Prix de Piano and Prix de Musique de Chambre. She has served as Minister of the Council for Cultural Affairs; National Policy Advisor to the Office of the President of the R.O.C. ; Ambassador-at-large; Secretary General of the National Cultural Association; Chairperson of the National Chiang Kai-Shek Cultural Center and on the board of the National Culture and Arts Foundation. She has held the positions of Chair of the Department of Music, Dean of the Graduate School of Music and Dean of the College of Fine and Applied Arts at National Taiwan Normal University (NTNU). ​She is currently Chairwoman of Egret Culture and Education Foundation and President of Alliance Francaise de Taiwan, as well as serves on the boards of Taiwan Public Television Service Foundation, Xue Xue Institute and Eslite Spectrum. Her rich performance experience includes recitals in France, Belgium, Italy and the US and collaborations with numerous world renowned orchestras. She has been recognized with many prestigious awards including from the government of France and has authored and edited a plethora of publications. 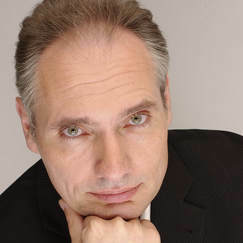 Born in Brunswick Germany, Rolf-Peter Wille graduated from the Musikhochschule Hannover and received a Doctor of Musical Arts in piano performance from the Manhattan School of Music in 1987. He has appeared as soloist with various orchestras, including the Moscow Philharmonic, Lausanne Chamber Orchestra, and all the Orchestras in Taiwan. He collaborated with conductors such as Vassily Sinaisky, Lawrence Foster, Henry Mazer, Alexander Rudin, Felix Chen etc. As chamber musician he performed with members of the New York Philharmonic, flutist Andras Adorjan, cellists Nathaniel Rosen, Alexander Rudin, Violinists Daniel Heifetz, Ilya Grubert and many others. Wille has taught at the Taipei National University of the Arts since 1987. Wille and his wife, pianist Lina Yeh, have toured and recorded extensively as a piano duo, with albums released on the Philips, PolyGram and Universal labels. Wille and Yeh were awarded the National Cultural Award in 1990 and the Friendship Medal of Diplomacy in 2010. Their 30-year anniversary album (Rolf-Peter Wille and Lina Yeh: 30 Years of Piano Duo) won the Golden Melody Award in 2010 for best performance and best classical album. Daming Zhu was born in Shanghai, China, where he began his piano studies at the age of nine. In 1966, Mr. Zhu's music learning were interrupted by China's Cultural Revolution. Denied the right to continue his studies and sent to work on a state farm, he secretly exercised his fingers on a wooden board and hand copied many Western composers' piano works. Not until 1979 was he permitted to resume his studies as a graduate student of Gong-yi Zhu at the Central Conservatory of Music in Beijing. While there, Mr. Zhu achieved the highest ratings in a series of piano auditions that were conducted nation-wide. In 1981, Mr. Zhu came to the United States, and astonished international music scene by winning one of the major prizes in the Sixth Van Cliburn International Piano Competition. Harold Schonberg, in his special report of the Van Cliburn Competition on the New York Times proclaimed, "Daming Zhu stirs the Cliburn Contest”. Since then, among many other prizes and awards, he has been the first prize winner in the Gina Bachauer Memorial International Scholarship Competition as well as the winner of the Juilliard Piano Concerto Competition. Mr. Zhu has performed to critical acclaim throughout the Far East, Europe, and North America. He has appeared as recitalist as well as soloist with many orchestras including The Juilliard Orchestra, Hong Kong Philharmonic Orchestra, Staatsorchester Rheinische Philharmonie from Germany, National Symphony of R.O.C. in Taiwan, Fort Worth Symphony Orchestra, China National Symphony Orchestra in Beijing, Taipei Philharmonic Symphony, San Jose Symphony Orchestra, Shanghai Broadcasting Orchestra, Taipei Symphony Orchestra, and China Philharmonic Symphony Orchestra. On Washington Post, Joan Reinthaler entitled Mr. Zhu "a master of the affective idiom of 19th-century music. He is an artist with the technique of a true virtuoso who also has something to say". John Sweeney of Greenwich Time pointed out that "Zhu penetrated to the areas of perception where truth and vitality are fused as one". Charles Ward of the Houston Chronicle stated that Mr. Zhu presented, "a profound and memorable interpretive achievement”. Robert Scherman noted on the New York Times, "The exciting young Chinese virtuoso; a superb pianist”. 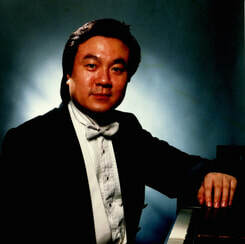 Wayne Lee Gay of the Fort Worth Star-Telegram acclaimed Mr. Zhu as "One of the most remarkable pianist on the scene today". Mr. Zhu has made numerous television and radio appearances in China, Hong Kong, Japan, Canada, Taiwan, Belgium, Germany and The United States, Including several performances on WQXR, the radio station of the New York Times. He also joined pianist Murray Perahia, Violinist Nigel Kennedy, and others in an ongoing project by the USA Public Broadcasting Service to record recitals by leading musicians for national airing. Since then Mr. Zhu's program has been heard several times across the North America. Mr. Zhu received his Doctorate from the Juilliard School where he also received an unprecedented total of seven major awards. His mentors include Rudolf Firkusny, William Masselos, Oxana Yablonskaya, and Joseph Bloch. Mr. Zhu has been on the piano faculty of New York University, Teaching Fellow at the Juilliard School, Lecture-artist of the Lincoln Center Program. Frequently invited to conduct master classes in universities and colleges around the world (among others, Royal Academy of Music in London, Juilliard School in New York, Central Conservatory in Beijing, Music Festivals in Spain, Czeck, Canada and U.S., etc. ), and serve as a jury member for international piano competitions. Mr. Zhu is currently on the piano faculty of National Taiwan Normal University. Among the students he taught, some are prize winners of renowned international piano competitions, including The Leeds Competition in UK, Gina Bachauer Competition in USA, Geneva Competition in Switzerland, ARD competition in Munich , Germany, and Paulo Monopoli International Piano Competition in Italy, etc. Mr. Zhu has been invited to be a member of the advisory committee for Presidential Concert of the Republic of China. Member of the planning committee for Higher Education and Accreditation Council of Taiwan in the field of Arts. Member of the evaluation committee of National Endowment of Culture and Arts., member of the directory arts council of the minister of Culture in Music Talent Bank, and member of the advisory board of the national Concert Hall and National Theater. For more than thirty years Lina Yeh has been one of Taiwan’s most beloved pianists. Her preeminence as this country’s most unique artist came into sharp focus in 1990 when she received the National Cultural Award in recognition of her achievements in the performing arts. Lina Yeh has performed all over the world as recitalist, soloist with orchestra, and in a piano duo team together with her husband Rolf-Peter Wille. ​Her recent concert schedule has included tours in Australia and New Zealand, Eastern Europe, South America and the Caribbean as well as appearances in Finland, Estonia, Germany, Russia, Canada, the United States, and the Far East. 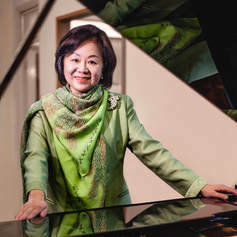 As soloists and piano duo she performed with various orchestras, including the Russian National Orchestra, Calgary Philharmonic, Ural State Philharmonic, as well as all major orchstras in Taiwan. She collaborated with conductors such as Mikhail Pletnev, Simon Streatfield, Andrei Boreyko, Henry Mazer, Jajah Ling, Alexander Rudin, Carlo Ponti, Shao - Chia Lü, Wen-Pin Chien, Felix Chen and as chamber musician with violinists Ruggiero Ricci, Fredell Lack, cellists Michael Flaksman, Alexander Rudin, and flutist Robert Aitken. She has made guest appearances at festivals, among others “Braunschweig Classix” festival, Germany, the Banff festival, Canada, the Europe-Asian Piano Duo festival in Sverdlovsk, Russia, Klaaspärlimäng festival in Tallinn, Estonia, and the National Concert Hall series, Taipei. The artist’s refined musicianship in performing the classical repertoire as well as 20th -century Chinese music has won them great critical acclaim. In 1997 Paul Griffith commented in the New York Times on the strong professional musicianship of her playing. Her latest albums having been released on the Philips and PolyGram labels, Lina Yeh has recorded a substantial part of the two-piano and piano-duet repertoire with Rolf-Peter Wille. Having a diverse cultural and educational background and having graduated from and studied at schools as different as Salzburg, Hanover, Banff, and Juilliard, she has distinguished national careers as professor (Taiwan Normal University), writer and broadcaster as well. Her principal teachers include Jacob Lateiner, Hans Leygraf, Kurt Leimer, and Robert Scholz. She has also worked on contemporary music with John Cage and Robert Aitken. Chia-Wei Chung earned both Master and Doctoral degrees in piano performance from Indiana University, Bloomington, where she studied with the legendary pianist Michel Block, who was granted the Rubinstein Prize in the International Chopin Competition in Warsaw in 1970. She also played at master classes of Hung-Kuan Chen, Solomon Mikowsky, Oxana Yablonskaya, and John Perry. Other teachers including Franco Gulli, Luba Edlina-Dubinsky, and Rostislav Dubinsky (Borodin Trio) in chamber music. Dr. Chung has concertized extensively throughout Taiwan. She actively appears as a soloist, collaborative pianist, and chamber musician. Apart from the annual solo recital tours, in recent years, she also collaborated with violinist Allen Hsieh and cellist Ching-Ling Wang as Duets. She has performed with Taipei Symphony Orchestra, Taipei Metropolitan Symphony Orchestra, National Taiwan Normal University Orchestra, National Kaohsiung Normal University Orchestra, Orchestra of National Taiwan University of Arts, and Sun Taipei Philharmonic Orchestra. Dr. Chung is now appointed Professor at National Taiwan Normal University. 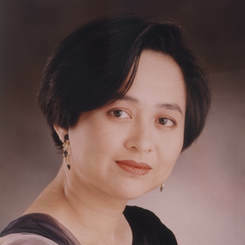 Pianist Dr. Ru-Lin Lai received the Doctor of Music Art from Eastman School of Music (University of Rochester, New York). 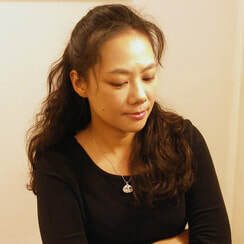 An excellent chamber musician, vocal accompanist, and a soloist, Ms. Lai is a full-time professor at the National Taiwan University of Arts. She also teaches at the professional music program at the Affiliated High School of National Taiwan Normal University. 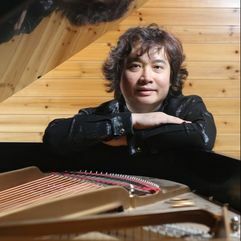 Yeh began his piano education at the age of 7, and he moved on to receive training in Moscow from 1992 to 1999. His residency in Moscow was a pivotal point to the artist, the Russian influences enriched his performance profoundly. During his seven years of residency, Yeh was invited to perform concertos and recitals in many of Russia’s main cities. He achieved the Doctorate of Performing Arts from Moscow State Tchaikovsky Conservatory with Highest Honors. Lin Tien-Chi、Lin Tao、Chien Wen-Pin、CHENG Li-Pin、Shao En、Chiang Ching-Po, Gernot Schmalfus, Roger Epple, David Wroe, Antoni Wit…..etc. In recitals, Yeh has traveled throughout Russian cities, the European continent, and the United States. He has given performances in concert halls such as the Moscow State Tchaikovsky Conservatory Grand Hall, Tchaikovsky Hall in Moscow, Krasnoyarsk Philharmonic Hall, Taiwan National Concert Hall. He also took part in renowned music festivals such as Schleswig-Holstein Festival, and Salzburg Summer Festival. Yeh has collaborated in concerts with famous Russian-American violinist Nina Beilina, Russian violinist Tatiana Grindenko, violinist Wu Meng-Pin, trombonist Sung Kuang-Ching, bass vocalist Lo Julian, violinist Wu Pei-Hsuan, cellist Victor Chpiller in piano trios, NSO Chamber Concerts, and other performances. Released CD recordings of Yeh : In 1999, pieces Yeh recorded and released in Moscow, including Ravel’s Gaspard de la nuit, Prokofiev’s Piano Sonata No.8, and Stravinsky’s “ 3 Movements de Petrouchka ”. In 2013 soloist album (by Archimusic Productions) featuring his interpretation of Beethoven: Diabelli op. 120, for which Yeh was awarded the 25th Golden Melody Awards for Traditional Arts and Music for "Best Classical Interpretation". Yi-Chih Lu, one of the most brilliant rising stars among the young generation of Taiwanese pianists, is the winner of Maria Canals, Sendai, Hummel and other ten piano competitions. His CD “My Chopin; My Brahms” has been awarded the Gold Melody Award for the “Best Interpreter of Classical Music". 2016 summer, while LU is touring at the west coast of America, Washington State King County announced the 9th July 2016 as “Yi-Chih Lu Day”, to recognize his achievement in piano performance. He has been invited to give piano recitals in America, Europe and Asia, at such important venues as Musikverein in Vienna, Berlin Philharmoie, National Concert Hall in Taipei, and has appeared as soloist with important orchestras including Radio Symphony Orchestra Vienna, Buxthehude Jugend Orchester, BerlinClassicPlayers, Sendai Philharmonic, Sendai City Symphony Orchestra, Taipei Metropolitan Orchestra, Taiwan Philharmonic (NSO), Taipei Century Symphony Orchestra, Taipei Symphony Orchestra, Sun Symphony Orchestra, Taipei Philharmonic Youth Symphony Orchestra, and Arad Philharmonic, among others. 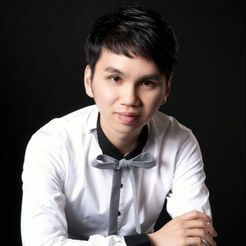 Born in Taiwan, Mr. Lu started the piano at the age of five and during his formative years he studied with Klaus Hellwig at the University of the Arts Berlin (Konzertexamen). In 2006, he received his Master Degree from the University for Music and Performing Arts Vienna, and the Vienna Cziffra Foundation awarded him the "Cziffra Prize", in recognition of his outstanding performance of G. Cziffra's Compositions. He is now holding visiting assistant professorships at National Taiwan University of the Arts and as adjunct assistant professor at Chinese Culture University.